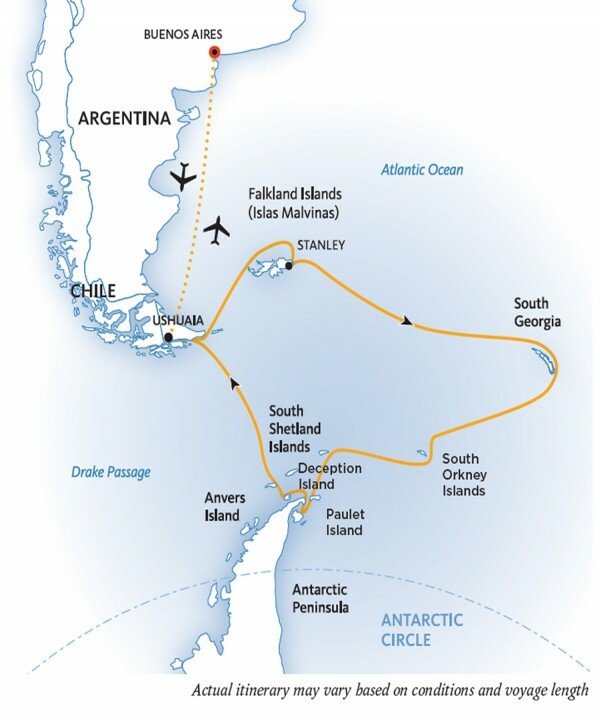 In this quintessential 20-day experience for polar travelers, follow in the footsteps of famed historical explorers as you journey through the Falkland Islands (Islas Malvinas), South Georgia, South Shetlands and the Antarctic Peninsula. After a convenient charter flight from Buenos Aires to Ushuaia, you’ll sail the picturesque Beagle Channel and head out to sea for this epic journey. Hundreds of diverse species of birds and animals await your perusal; the extreme isolation and silence will alter your world perspective. Witnessing a glacier calving, participating in a reverential tribute to a famed explorer or being charmed by lovable, playful penguins – the sheer magnitude, beauty and diversity of the Antarctic will take your breath away. Ocean Endeavour is a comfortable, well-appointed small expedition ship expertly engineered to explore the Polar Regions. The ship has an ice-strengthened hull, Zodiacs for exploration and remote landings, and advanced navigation equipment. The newly-refurbished vessel offers a superb guest experience with an expansive choice of cabin categories, large cabins and common areas, a sundeck and observation area, plenty of deck space for polar landscape viewing, and lounges for learning and reflection. 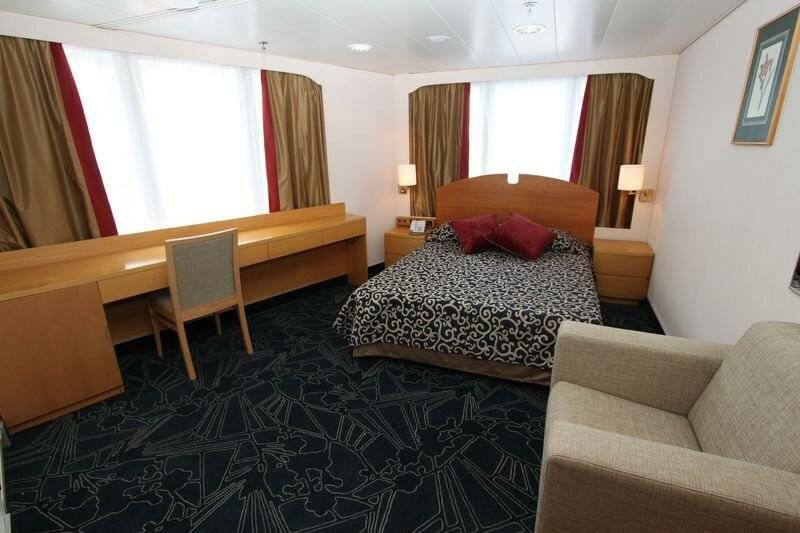 The ship’s interiors have a contemporary aesthetic that provides a bright and spacious feel throughout. Endeavour is also the only polar adventure ship in Antarctica focused on health and wellness , and offers a contemporary approach to cuisine and newly-designed health and fitness features. Facilities include a spa serviced by organic spa provider VOYA, His & Hers saunas, a salt water pool, a gym, and a juice and smoothie bar. Complimentary activities include yoga and stretching classes, an exclusive Polar Photography program, the Scientists in Residence program, and more adventure activities than any other Quark vessel. The ship also has a polar library, and a Polar Boutique for gifts and any needed gear. Full range of adventure activities including: kayaking, camping, mountaineering, cross-country skiing, stand-up paddleboarding, Zodiac cruising, shore landings and hiking/ walking. You may arrive in Buenos Aires at any time during Day 1 of the itinerary. Upon your arrival in Buenos Aires, you will independently transfer to the group hotel (pre-night hotel included). After breakfast at the hotel, the group will transfer to the airport and board our private charter flight from Buenos Aires to Ushuaia, Argentina. Upon arrival, we’ll take a short city tour of this quaint port town before heading to the pier. There are many activities to keep you engaged while you are at sea. Learn to identify seabirds that glide alongside the ship or attend dynamic presentations by your Expedition Team. You will be prepped on safety procedures for your Zodiac cruises and shore landings. Upon arrival in this archipelago your cameras will get their first real workout capturing the abundant wildlife and the rugged feel of the Falklands (Malvinas).The archipelago contains two main islands—East and West, which we will explore by Zodiac excursions and daily landings. Port Stanley is often a favored landing site, as the town offers a unique British outpost feel, complete with a bit of an eclectic charm.You’ll be free to explore the town, grab a pint at the local pub, or visit numerous churches and museums. In terms of wildlife, the archipelago is home to magellanic, gentoo and rockhopper penguins. If you’re lucky, you may even spot king penguins here as well! You can expect to see blackbrowed albatross and two endemic bird species; Cobb’s wren and the Falkland’s flightless steamer duck. Sailing south, you’ll officially enter Antarctic waters by crossing the invisible biological boundary called the Antarctic Convergence. Encircling the continent, cold Antarctic waters meet and mix with the warmer waters of the Indian, Pacific and Atlantic Oceans, creating an abundance of krill and marine life that attracts whales and seals to this part of the world. Expedition staff will be sure to keep you posted when you cross this invisible, yet important line. This remote outpost was a popular stop for many historic Antarctic expeditions and was once a haven for hunting whales and elephant and fur seals. 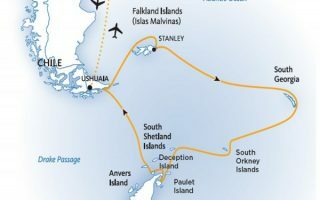 Today, South Georgia Island wildlife populations have rebounded, but you’ll still see remnants of those old whaling stations and other abandoned outposts.One significant and historic site that will be of interest is the grave of the great explorer, Sir Ernest Shackleton. You can visit his grave at the settlement of Grytviken, which is also home to an old whaling station, a museum, gift shop, church and a small research station.While South Georgia’s history is an important attraction to the islands, it is the wildlife on South Georgia that you and your shipmates will surely find most captivating. Often referred to as the ‘Galapagos of the Poles,’ each landing you make on South Georgia will open your eyes to a new wonder of wildlife. Say goodbye to the king penguins, as your next destination is Antarctica! Your days at sea are filled with presentations, lectures and workshops from your Expedition Team, who will prepare you for the wildlife that will be greeting you upon your arrival in Antarctica. In between presentations, spend time chatting with your shipmates over a drink at the bar.If conditions allow, we may attempt landfall on the South Orkney Islands, our first official stop in Antarctica. The most common reaction to arriving at the white continent is a sense of reverence and awe. The experience is hard to put into words, as few places are as untouched, unique and enduring as Antarctica. You will discover that Antarctica is a land of extremes. At one moment you’ll be overcome with a feeling of complete desolation and silence, at the next moment you’ll be inspired by nature as a calving glacier crashes into the brilliant blue sea or a penguin comes waddling by to inspect your footwear. After more than two weeks of endless wildlife encounters, your journey home begins. Crossing the Drake Passage is your unofficial rite of passage, completing your Antarctic adventure.Enjoy some final moments mingling with your fellow travelers. The noisy, busy, populated world awaits your return, so savor the silence of the sea as long as you can. After breakfast aboard the ship, it is time to part ways and say goodbye to your Expedition Team.After disembarkation, you will have a little time to explore Ushuaia before we transfer to the airport for the return group charter flight to Buenos Aires. 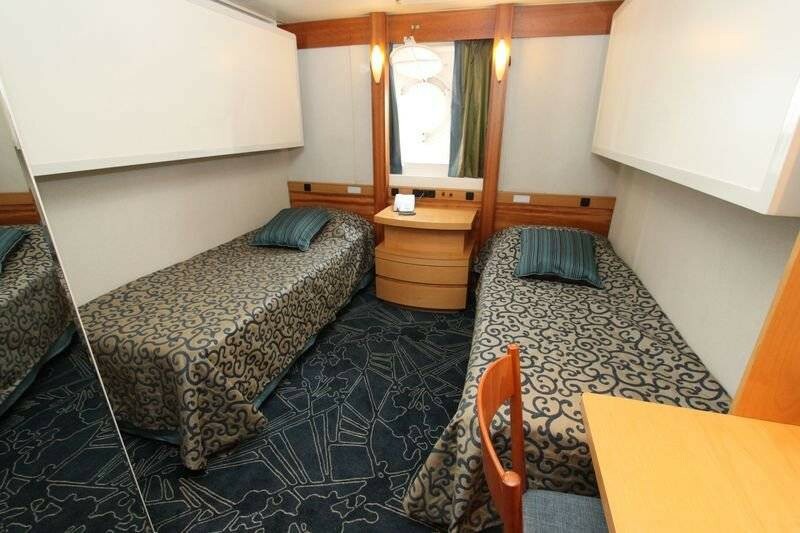 A triple on deck four is an interior cabin with two lower berths, one upper berth and private bath. Approximately 10-15 m² (105 to 160 sq ft). 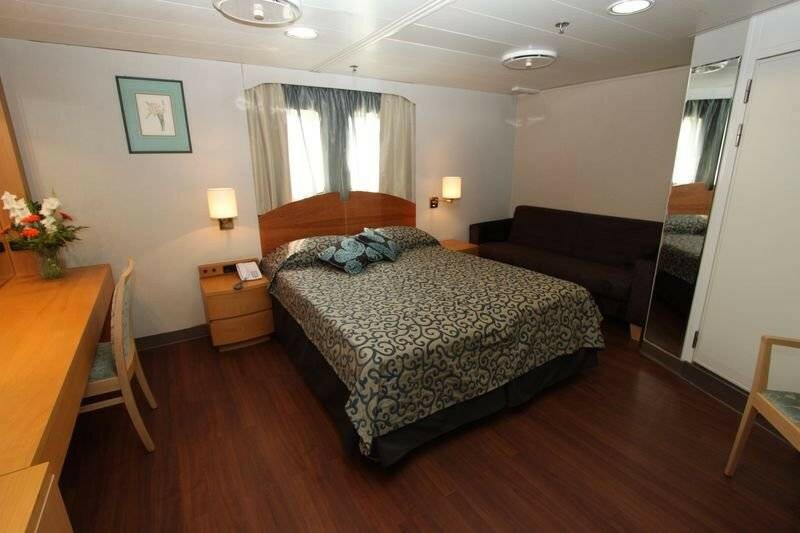 A twin porthole on deck four features a porthole window, two lower berths and private bath. Approximately 9-10 m² (95 to 105 sq ft). A twin window on deck five features a picture window, two lower berths and private bath. Approximately 9-10 m² (95 to 105 sq ft). 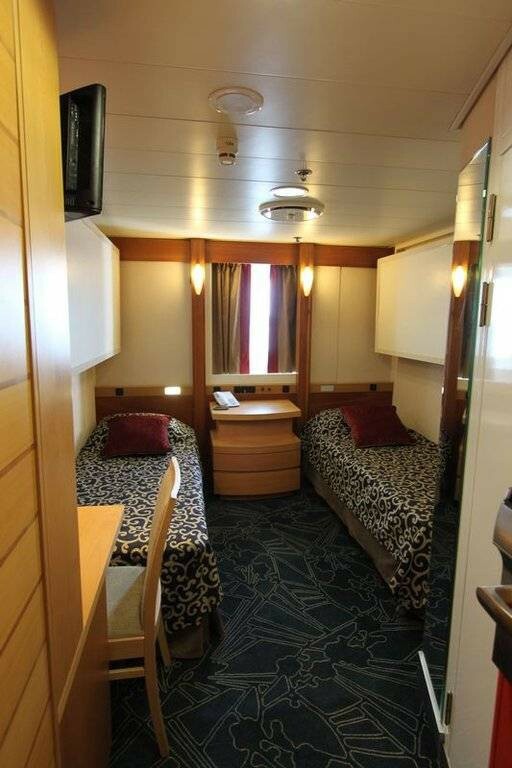 An upper deck twin on decks seven and eight features a large picture window (obstructed view), two lower berths or one double bed and private bath. Approximately 13 m² (140 sq ft). A twin porthole plus 1 on deck four is twice the size of a twin porthole, with 1 bathroom. It features a porthole window, one or two beds and one private bath. Approximately 18-20 m² (190 to 200 sq ft). 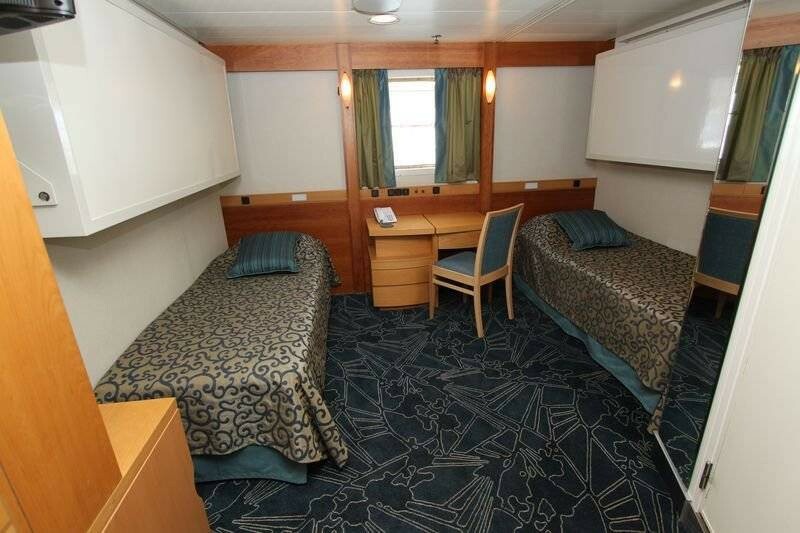 A superior twin on decks five and seven features a picture window, two lower berths or one double bed and a private bath. Approximately 19 m² (205 sq ft). 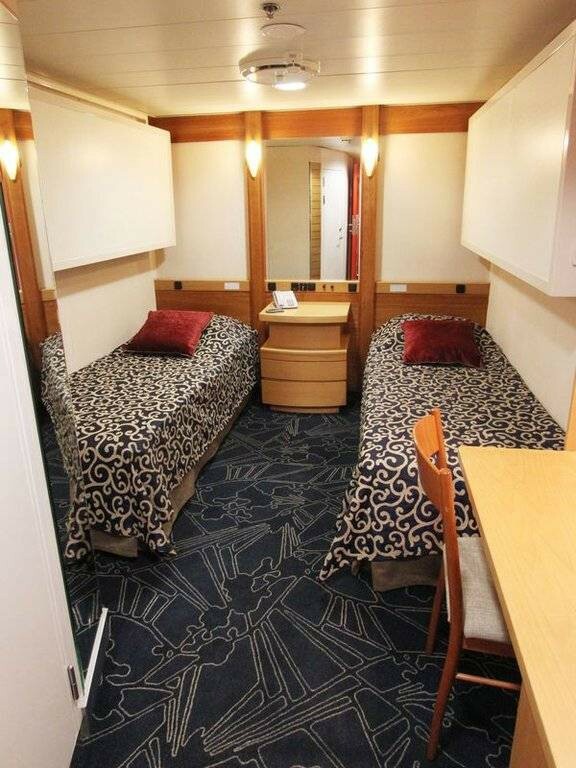 A single on deck five is an interior cabin with a lower berth and private bath. Approximately 9-10 m² (95 to 105 sq ft). 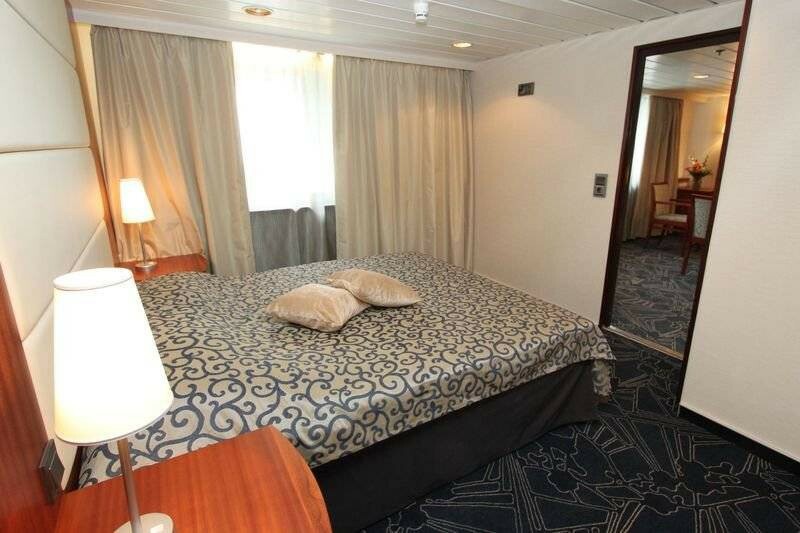 A top deck twin on deck eight features two large picture windows (partial obstruction), one double bed and private bath. Approximately 14.5 m² (155 sq ft). A twin window plus 1 on deck five is twice the size of a twin window, with 1 bathroom. It features a picture window, one or two beds and one private bath. Approximately 18-20 m² (190 to 200 sq ft). 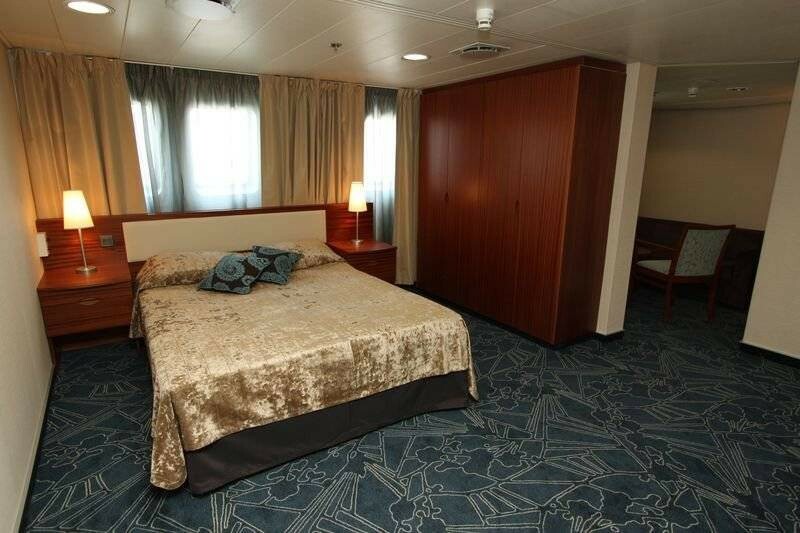 A junior suite on decks five and seven features a picture window, two lower berths or one double bed and private bath. Approximately 30 m² (320 sq ft). 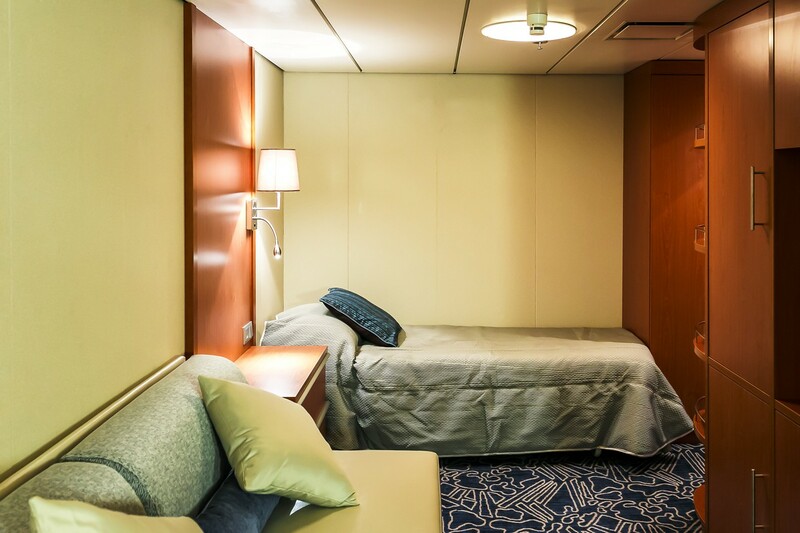 The owner’s suite on deck seven features two large bow-facing windows, one double bed, separate sitting room and private bath with tub. Approximately 30 m² (320 sq ft). If travelling alone, would you prefer to share with someone of the same gender to save on cost? We’re here to help and answer all your questions about expedition cruising in and around Antarctica. Enter your name and number below and we'll give you a call as soon as possible. If you are outside of Australia, please include the area code. What would you really like to see and do? The more detail, the better. Are these trips OK for solo travellers? What is it like on an Antarctic voyage? How rough does it get at sea? What gear do I need to take and what do I need to pack? What are the fitness and health requirements for an Antarctic Voyage?